Is This Boat-Shaped Formation in Turkey the Remnants of Noah’s Ark? Durupinar site. Credit: Google Earth. Have researchers proven that this formation in Turkey is the resting place of the massive Ark that was used to save the Biblical patriarch Noah, his family, and many animals from a worldwide catastrophe? Not long ago, a friend posted on Facebook a link to the article “Noah’s Ark Has Been Found. Why Are They Keeping Us In The Dark?” on the website of Joe the Plumber. The byline identifies the author of the article as Dan Eden, possibly a pen name for activist Rodney Lee Conover (a link to his Facebook page appears at the end of the article). Joe the Plumber became a kind of political icon during the 2008 U.S. presidential campaign. The article’s appearing on Joe’s website evidently lends the topic credibility for some readers. The article shines a light on a fascinating chapter in the story of “arkeology,” the search for the remains of Noah’s Ark. I think it also points to some useful questions about scientific research, and our relationship with subject-matter experts: Should we only give credence to the findings of those with professional credentials, or should knowledgeable amateur researchers get a listening ear as well? 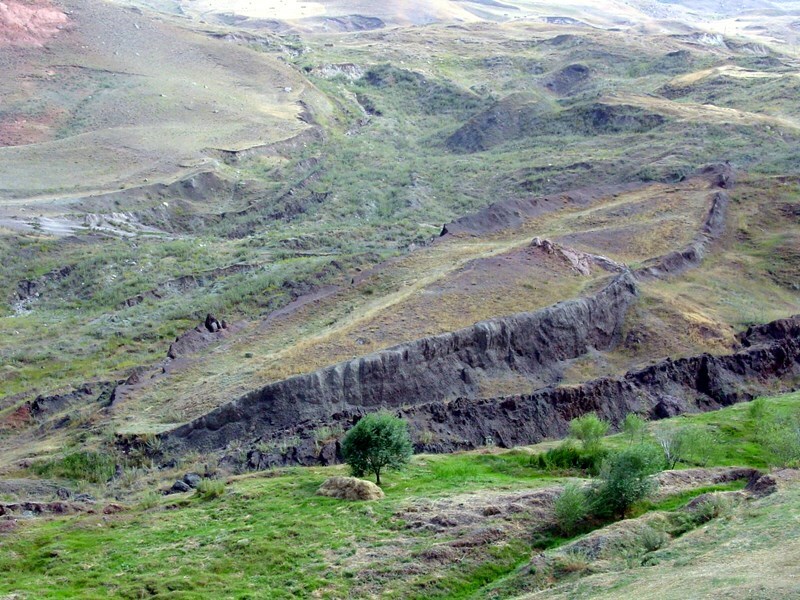 The Dan Eden article discusses the formation known as the Durupinar site, a stone structure found in the mountains of eastern Turkey near the border with Iran. The Durupinar formation consists of a ridge of rock protruding from the ground, describing an oval shape with one end pointed in a way that suggests the prow of a ship. For decades, the Durupinar formation has been promoted by enthusiasts as the true site of Noah’s Ark and proof of the Bible’s account of a global deluge, given at Genesis chapters six through nine. The question whether the remains of Noah’s Ark still exist interests me and my readers (I think), because my Biblical fiction series, The Cursed Ground, takes place in the ancient world before its destruction by a worldwide flood. Whether the Bible account is literally true or not is, in a way, irrelevant to the fictional world I’m developing. It’s fiction, after all. But the historicity of Bible accounts is certainly of interest to many thinking persons, and the ancient story of a society destroyed by a global catastrophe is relevant in a moral and religious sense, and perhaps also to those concerned about the environmental problems facing humanity today. What Evidence Has Been Found at the Durupinar Site? On the side of the structure can be seen a series of vertical bulges corresponding to ribs of a ship’s hull. Ground-penetrating radar (GPR) revealed a structure under the mud, with regular, “periodic” placements that showed them to be human-made structural elements. A core sample into the structure obtained a lump of petrified animal dung, a petrified antler, and a sample of cat hair. A piece of petrified wood discovered at the site proved to be a large beam made from three planks laminated together with organic glue. Using metal detectors, Wyatt unearthed what he described as a disk-shaped hammered metal rivet, containing iron, aluminum, and titanium. Some miles from the Durupinar structure can be found a number of large, heavy stones with holes carved in them. Wyatt proposed that these were anchor stones used to stabilize the great ship, and that the holes were used to tie the stones to the ark with ropes. Purported rivet found by Ron Wyatt. Durupinar formation. 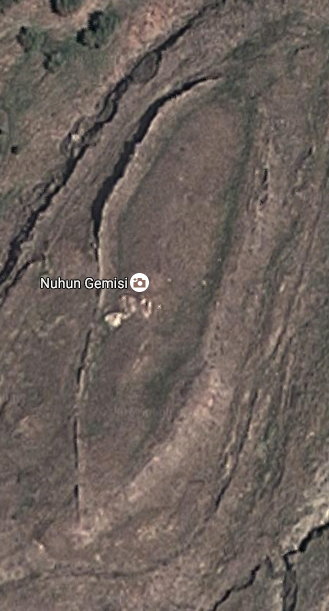 Credit: Tuấn Lê, via Google Maps. Wyatt’s assertions about the Durupinar site have been widely popularized among religious audiences. “Hot spots” identified by metal detectors at the Durupinar site were randomly distributed, not in any regular pattern, and were attributable to basalt boulders in the mudflow material. The “molecular frequency generator/discriminator” device alleged to have mapped “iron lines” at the site amounts to a dowsing instrument with no scientific value. The vertical bulges supposedly forming the ribs of a ship were just hardened mud and boulders, lined with erosion gullies and containing no petrified wood. Contrary to Wyatt’s claims, very little petrified wood has been found at the Durupinar site. The segment claimed to be a deck timber of laminated planks has actually been identified as basalt; a laboratory report cited as proof actually did not test the sample in a way that could identify it as petrified wood. Soil samples from the site contain just the kinds of metals to be expected in soil developed from basalt, not from forged materials; carbon at the site is in mineral form, not the organic form expected from decayed wood. 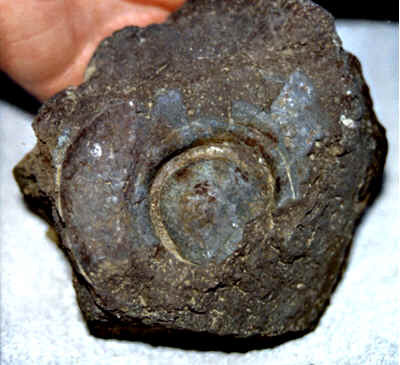 The object described by Wyatt as a metal rivet only exhibited a vaguely round shape. Lab tests “returned results consistent with the chemical composition of the major local rock type, basalt,” writes Snelling. The object was not subjected to any testing capable of identifying the kind of exotic metallurgy claimed by Wyatt. Wyatt claimed that Turkish archaeologists found a series of metal rods like cotter pins, but Wyatt himself is the only source for this claim, and a leading researcher from the Turkish teams denied this and other claims by Wyatt. The stone slabs found in the region and proposed as anchor stones have no proven connection to the Durupinar formation itself, or to the Biblical account of the Ark. The boat-shape is situated in a sloping valley and is surrounded by deposits of loose soil and crushed rock which is slowly sliding down hill, flowing much as a glacier flows — a mudflow. As we have seen, the stable area around which this mudflow material flows is an uplifted block and erosional remnant of basement rock, including limestone and basalt. Just as water flows around a rock in a river bed, the site has acquired a streamlined shape due to the dynamics of the slowly flowing mud. Associates and admirers of Ron Wyatt, who died in 1999, have continued to argue in favor of his research at the Durupinar site. A set of “frequently asked questions” by an organization called Ark Discovery International presents counterarguments against Snelling and other critics. An interesting but unattributed article titled “The Results of the Subsurface Imaging Project of Noah’s Ark” presents a number of images and comments based on a “resistivity imaging” study done at Durupinar in 2014. John Larsen is named as the person conducting the scans for these images, but his qualifications are not mentioned. I find Snelling’s refutation persuasive, in part because of his thorough examination of the evidence, but admittedly also because of his professional credentials. However, should every amateur like Wyatt be disregarded simply for not having academic credentials? And what about these newer subsurface images by Larsen? I looked at them but couldn’t do much more than scratch my head. When faced with complicated technical information and conflicting claims from purported experts, what is the thinking person to do? I would say, keep an open mind but don’t be credulous. Just because the evidence has cast doubt on one proposed site for the Ark’s remains does not mean that the Bible account is not historical. Archaeological evidence, free from biased interpretation, has never disproved the scriptural account of the past. But archaeological findings are of necessity fragmentary. Human structures and remains deteriorate quickly, and the older they are, the more likely they are to disappear entirely. In the case of Noah’s Ark, we are considering a wooden structure that existed more than 4,000 years ago. One might wish that such remains could be found, but there’s no virtue in fooling yourself. Has Archaeology Proven That the Biblical Exodus Is a Myth? How Much Does Archaeology Really Reveal?